The Posting&Toasting crew broke down Carmelo Anthony’s last season with the Knicks. As badly as the team’s 2014 was, it was arguably the best performance of Melo’s career. P.S. Does “last season with the Knicks” mean “most recent,” or “final”? Stay tuned! 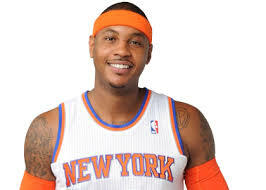 This entry was tagged Carmelo Anthony, NBA, New York Knicks. Bookmark the permalink.